Kent based but covering southeast. 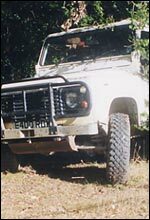 Regular greenlaning and a wide range of activities. Renowned collection of rare Land Rovers. Land Rover servicing and genuine parts from 1948 onwards. Off Road tours all over the world.